Get answers and insight from America’s fastest growing net lease company. When savvy commercial real estate investors are looking for assets, they understand that not all lease agreements are created equally. And while a net lease is a popular choice, perhaps no lease agreement offers more benefits for property owners and investors than triple net leasing. In fact, many commercial real estate investors consider the triple net lease the most advantageous of investments. In a net lease agreement, the lessee is responsible for one of three common “nets,” which include property taxes, insurance, and maintenance expenses. In a triple net lease (NNN Lease), the tenant agrees to take on all three nets. This means the property owner doesn’t have to worry about rising property taxes or routine building repairs eating away at their return on investment. Even better, in most cases triple net properties are single-tenant, unattached properties with long-term rental agreements. 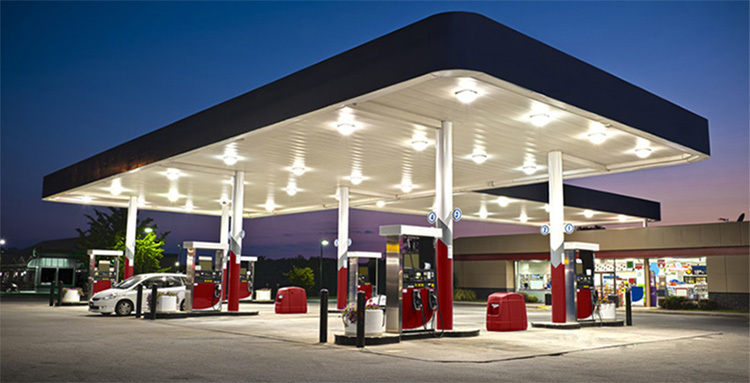 Banks, fast food restaurants, gas stations, and convenience stores are all common tenants of net lease properties. While these assets are popular investment vehicles, many real estate investors also have a lot of questions about triple net leasing and commercial properties. This is especially true among people who are new to investing in an unpredictable financial market. We created Triple Net Leasing 101 to answer some of your more pressing questions regarding triple net leasing, because the next time you choose to invest in commercial real estate, we want you to do it with confidence. In 2017, Real Estate Forum named Sands Investment Group to its List of Commercial Real Estate’s Fastest-Growing Companies for the second consecutive year, and our experience with NNN properties has made us a leader in this competitive industry. Here are some of our insights on the most common questions about triple net leasing. What Is Triple Net Leasing? A net lease is an agreement wherein a tenant agrees to take on not only rent payments, but also operating expenses. These operating expenses include repairs, insurance, and taxes. In the case of a triple net lease, or an NNN lease, the tenant is responsible for paying all of these operating expenses. The landlord or investor won’t need to come to the property to make routine repairs, nor will they have to worry about rising insurance premiums or property taxes. So for commercial real estate investors looking for no-hassle, no-maintenance properties, NNN leasing is the obvious choice. Why Is Triple Net Leasing Popular? Property owners often prefer triple net leasing because they don’t have to worry about paying additional expenses and finding the right person to repair property damage. 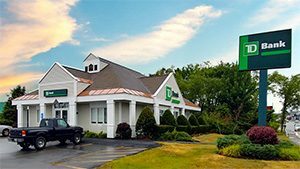 For the landlord with a full-time job, a triple net lease can be a relief. Likewise, for investors looking for safe investments, NNN properties usually feature long-term rental agreements. That means triple net leases are often a safe investment for those looking to invest their money in an unpredictable financial market. It can be challenging to find stable real estate assets to invest one’s money, which is what makes triple net leasing so attractive. And with single-tenant and long-term lease agreements, NNN investment profits are often more predictable and stable compared to other kinds of commercial real estate investments. For this reason, many investors refer to these kinds of investment properties as real estate and corporate bond investments. What’s The Difference Between Single Net And NNN Leases? Compared to triple net leasing, which absolves the landlord of most responsibility, single net leases shift greater risk from the tenant back to the landlord. The tenant is still responsible for paying rent and property taxes, but the landlord must cover maintenance and insurance. Single net leases are considered the least common type of net lease for this reason. Double net leases are more popular, which puts the tenant in control over insurance premiums and property taxes on top of rent payments. However, in double net leases, the landlord is still responsible for maintenance repairs and utilities, which can be unpredictable and labor intensive. What Are The Other Benefits Of Triple Net Leasing? It’s clear why real estate investors love NNN properties, but why do tenants sign up for these lease agreements? Tenants often prefer taking out a triple net lease with their property owner because it gives them a greater sense of control over the building. They’re able to hire the maintenance person they want to make repairs on the building and they don’t need to call you, the property owner, in order to make these repairs. Consequently, you won’t have to worry about finding a tenant for the property once you choose to invest in it. What’s more, because triple net leases typically last for three years or more, once a tenant has been found, property owners won’t have to worry about finding another one within a year. However, the benefits of investing in a triple net lease property go beyond stable tenants and reduced property management. Triple net properties also typically have a lower entry price point for potential investors. For this reason, property owners are able to safely invest their money at an affordable rate. Ready To Invest In Triple Net Properties? Triple net lease properties can be a great investment for those looking to invest in a rocky financial market. Are you ready to get started in a stable, long-term real estate investment? Sands Investment Group is a commercial real estate brokerage firm that specializes in the buying and selling of triple net lease properties for both private investors and financial institutions across the United States. In 2017, we were the second fastest growing company in South Carolina, and we want to help our clients grow just as quickly. Over the years we have closed more than $3.1 billion in commercial real estate transactions in 48 states. Our agents have helped investors find net lease properties all over the country, and our national presence can help investors find some of the most valuable triple net leasing opportunities anywhere. For more information on available triple net lease properties available for investment, contact Sands Investment Group today.